As mountain bike suspension design has evolved, space to mount two water bottles has come under threat. Cape Town bicycle component designers, Lyne, have applied some very lateral thinking to the problem. 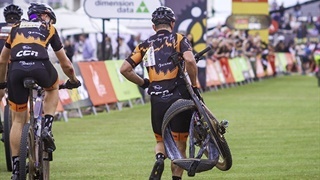 Their solution is the Holy Grail for South African mountain bikers who ride long hours and larger distances. 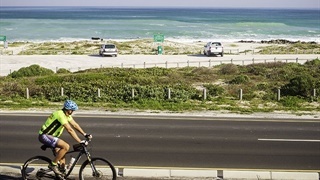 Whilst most Europeans face the reality of freezing on their bikes from October to March, South Africans can ride all year round without bother. This is thanks to our benevolent sunny cycling climate. Its only bugbear is that it does tend to get rather hot. Hydration is crucial for the distances most South African road and mountain bikers ride. In extreme heat, one water bottle is simply not enough – and carrying two has become problematic. That high intensity training ride, or weekend ‘big day’ out, is often constrained by the availability of water. 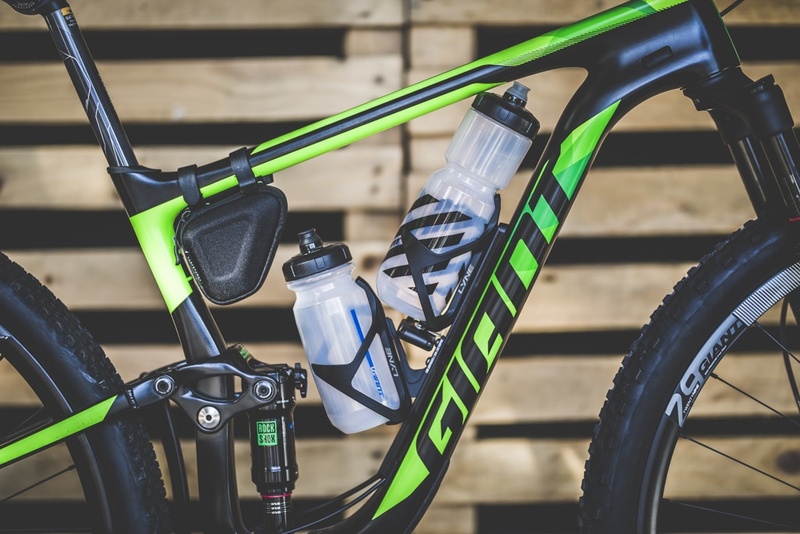 As mountain bike geometry and frame design has progressed, the convenience of mounting two water bottles inside of a bicycle frame’s main triangle has become increasingly difficult – especially on certain dual-suspension bikes, where the shock takes pride of place. Fortunately, an ingenious homegrown solution is now available to help you stay hydrated. It’s called the Holy Rail, and it is the work of Lyne (pronounced ‘line’) components, based in Woodstock near Cape Town. Lyne’s design allows riders to customise the stowage solution for water bottles, tools and spares – three things you never want to run out of. With Lyne’s Holy Rail, you have an attachment screwed to the inside of your bike’s bottom tube – which is the longest surface on any bicycle frame. This allows adjustable fasteners to be moved up and down on the Holy Rail, allowing for the spacing and securing of spares or hydration. 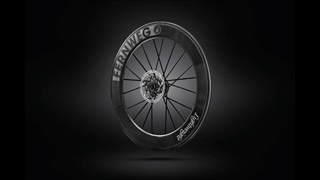 Tools and spares can also be carried in a specially designed case, which mounts onto the Holy Rail, instead of annoyingly dangling in the pockets of bike wear as you ride along. ‘Why not just carry your tools and spares in a saddle bag, attached behind the seat?’ The simple reason for not doing that is balance. Centre of gravity is a crucial stability factor in cycling and the lower you can position any additional mass on the bike, the more stable it’s going to be. The really clever bit is how Lyne’s Holy Rail incorporates two water bottles. For those bicycle frames where the intrusion of suspension components makes it unfeasible to have two water bottles stacked one behind the other, Lyne’s solution is to add some angle. A dual-cage adaptor allows the second water bottle to be mounted at an angle, instead of flush against the frame, which solves the packaging issue. Lyne’s Holy Rail bicycle stowage concept can be configured in a multitude of ways, prioritising either hydration or the carrying of supplementary tools and cycling consumables. The basic Holy Rail with its dual water bottle cage, adaptor, mounting rail and a multitool retails for R1,199.